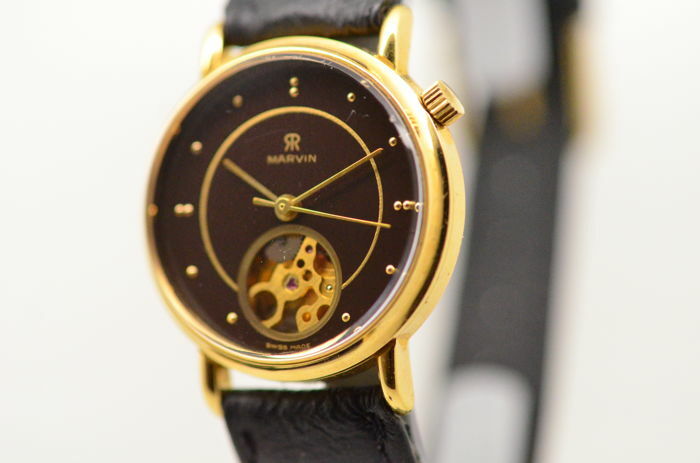 Nearly new Marvin ref. 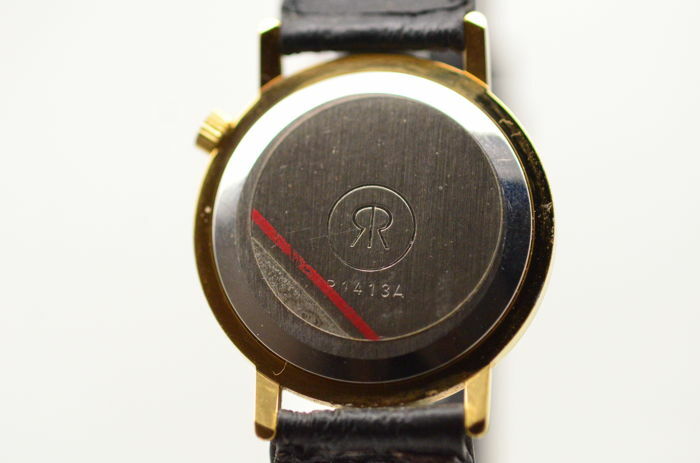 P1413A Swiss men's wristwatch from the 1970s. 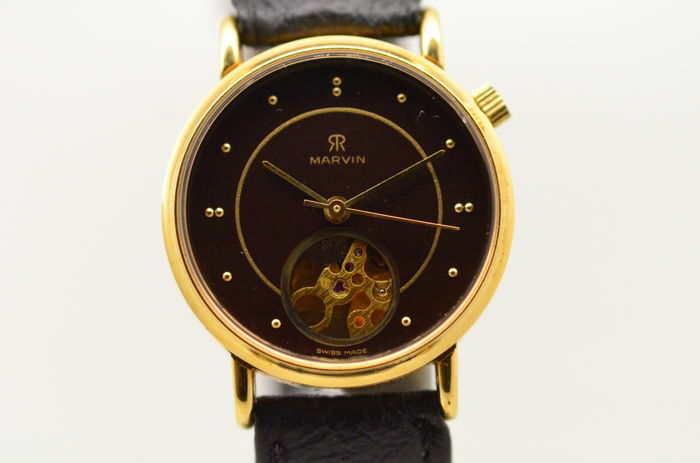 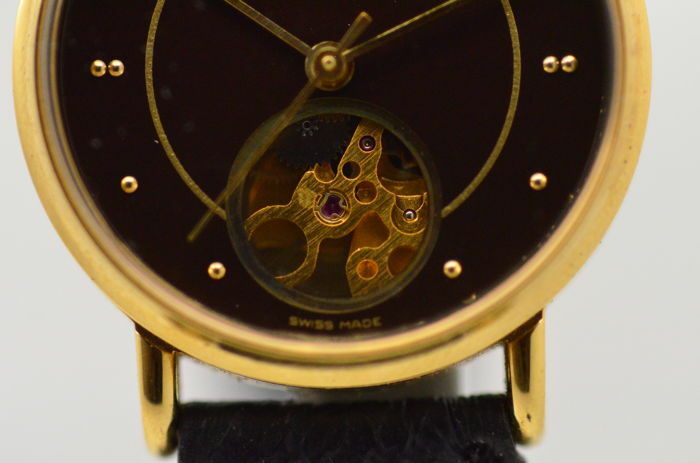 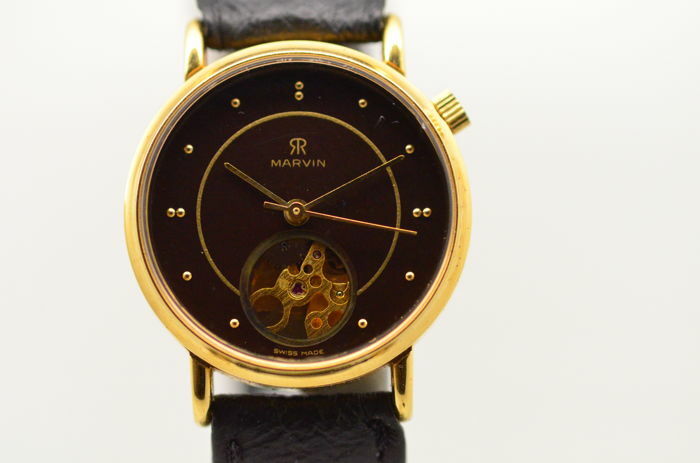 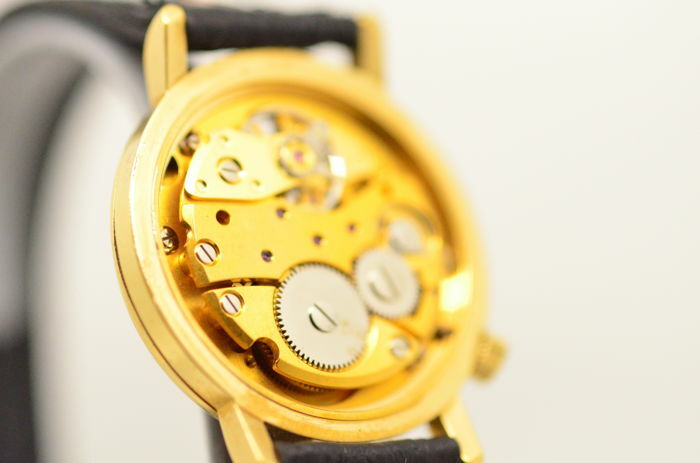 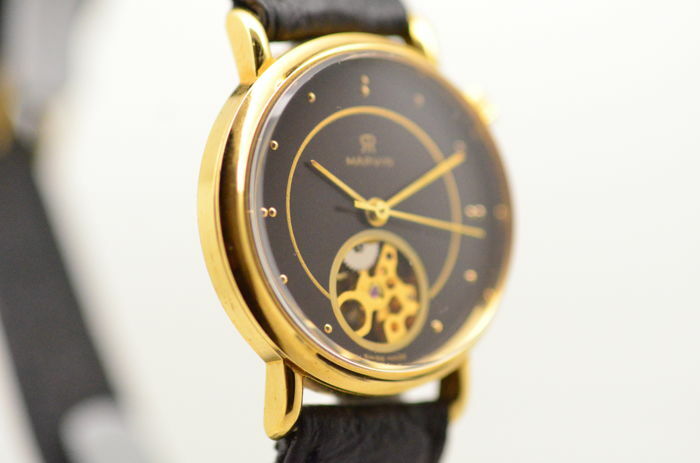 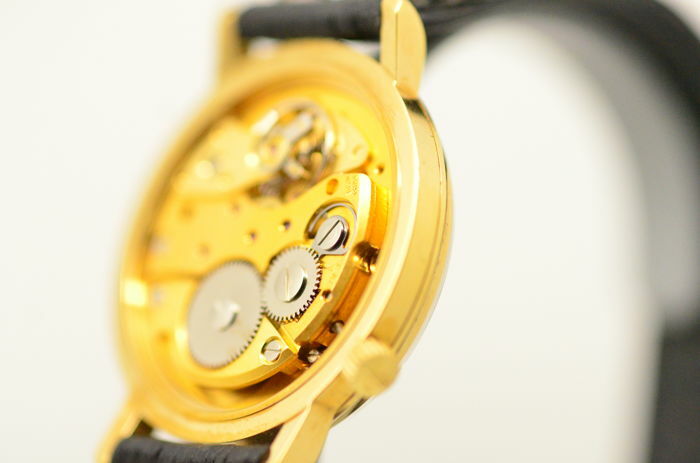 Well-functioning mechanical hand-wound MSR 17-jewel movement. 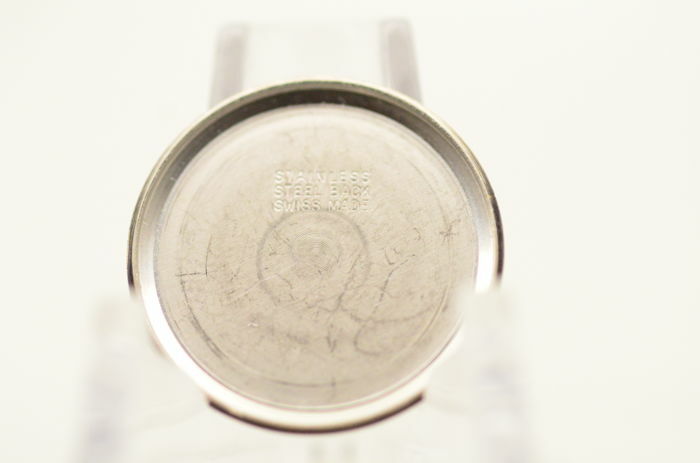 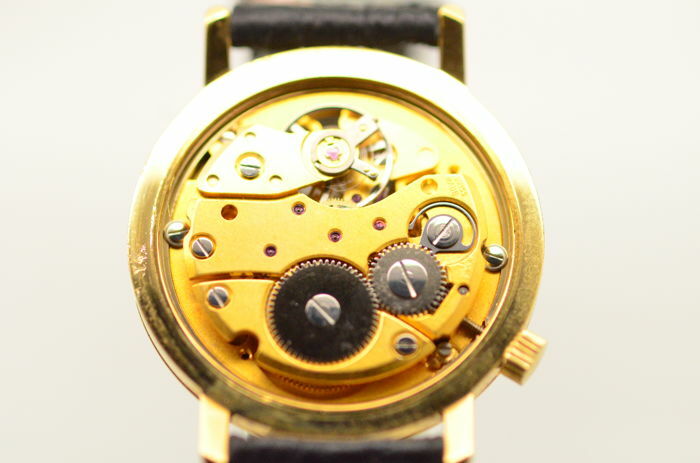 The movement is partly visible through an opening in the dial. 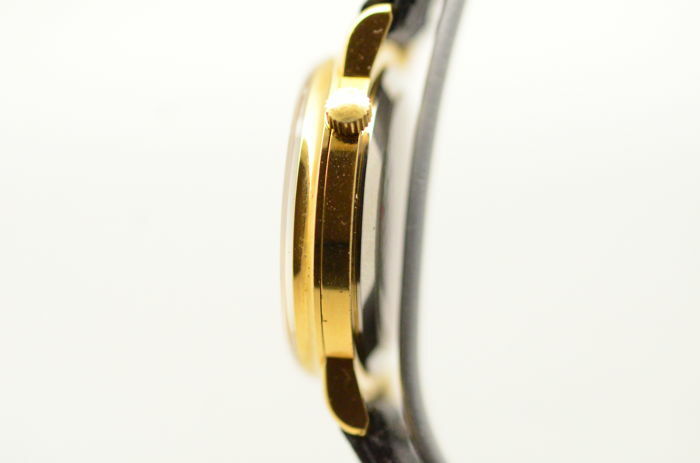 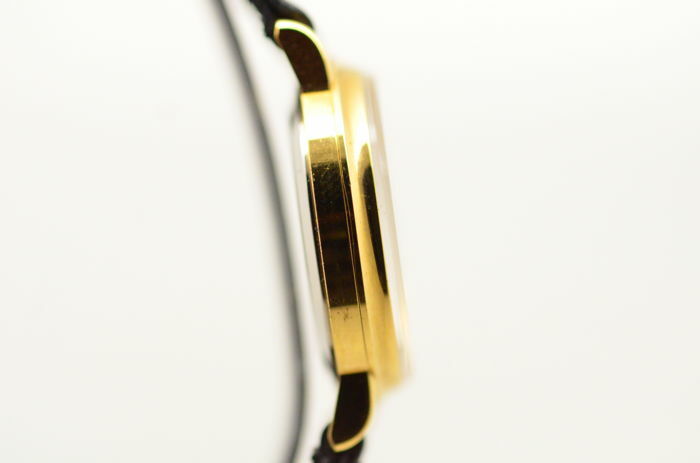 The gold-plated case has a diameter of 32 mm (measured without the crown). 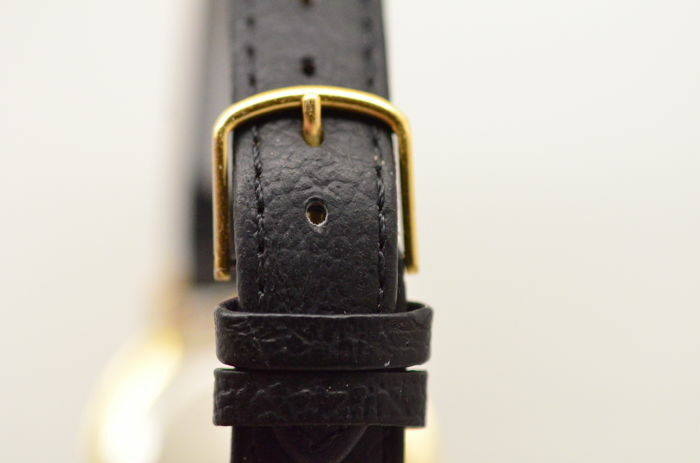 The total strap length including clasp is 19 cm. 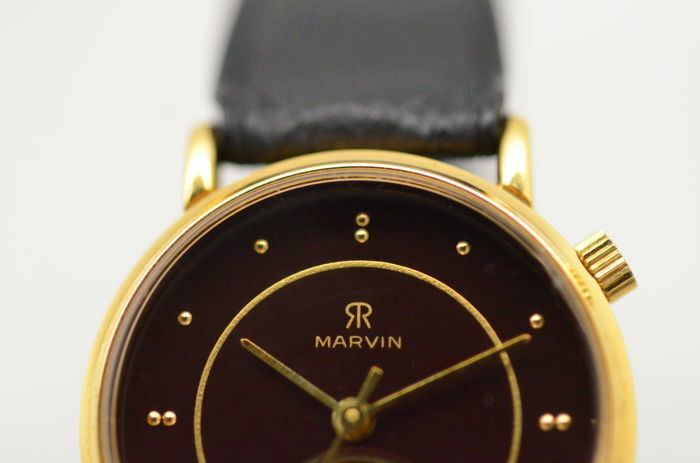 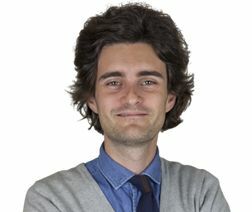 The watch will be well-packaged and shipped by registered and insured post.